[tps_footer]The Tamasha couple, Ranbir Kapoor and Deepika Padukone along with Director Imtiaz Ali depart from Mumbai for the capital city. The famous Mumbai Central station witnessed a fan frenzy when Bollywood’s golden pair reached its main gates dressed in comfort casuals all geared to commence their train journey. The duo absorbed a first hand experience of the local life as they walked through the platform and waited at the station masters office for the arrival of their train. 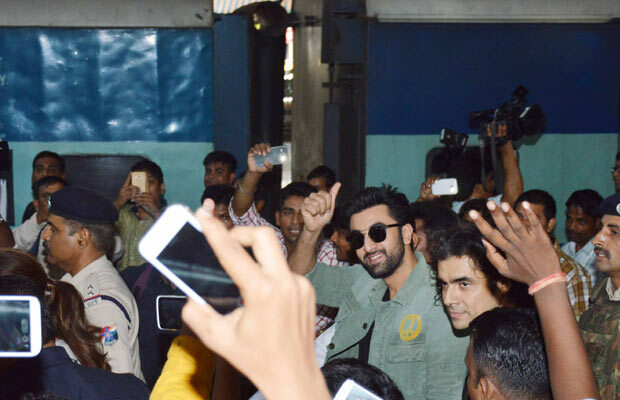 Both Ranbir and Deepika seemed happy and excited to kickstart their journey via the public transport. The attractive couple have been going all out with the promotions of their upcoming release, Tamasha which is easily one of the most written about and talked about films of recent times. The duo were to travel to Delhi as part of the promotions of the film. But in a recent conversation, Deepika expressed her wish to travel by train as she had not done so in a very long time. When Ranbir learnt about this wish of his co-star, he immediately got on to arrange for this wish of Deepika. The flight tickets to Delhi were canceled and the team booked for an overnight train travel instead. While both of them have traveled to Delhi a lot of times, it was for the first time that they got on an overnight train to cover the journey. 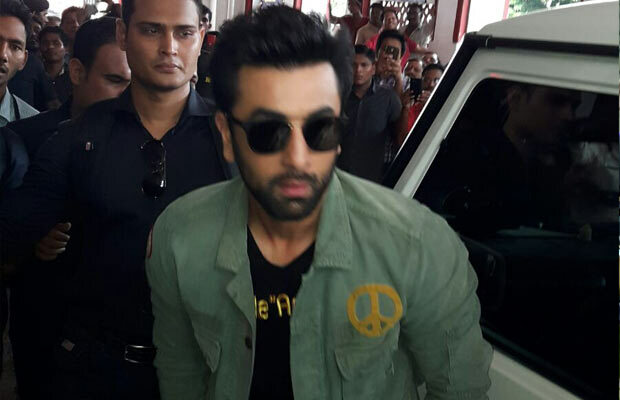 It was an impulsive decision taken by them and Ranbir – Deepika who were super excited for this trip left Mumbai on Sunday afternoon. There is lot of excitement among audiences to watch this most loved golden pair on the screen in Imtiaz Ali’s Tamasha.